Get Fresh – 10th Edition Guide! 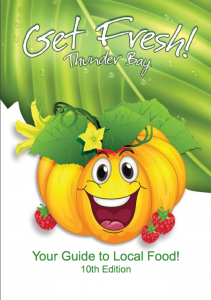 A reminder that fresh, locally-produced foods and the local restaurants and markets that serve up this goodness are always at your fingertips with the 10th Edition of the Get Fresh Guide! Brought to you by the Thunder Bay and Area Food Strategy.